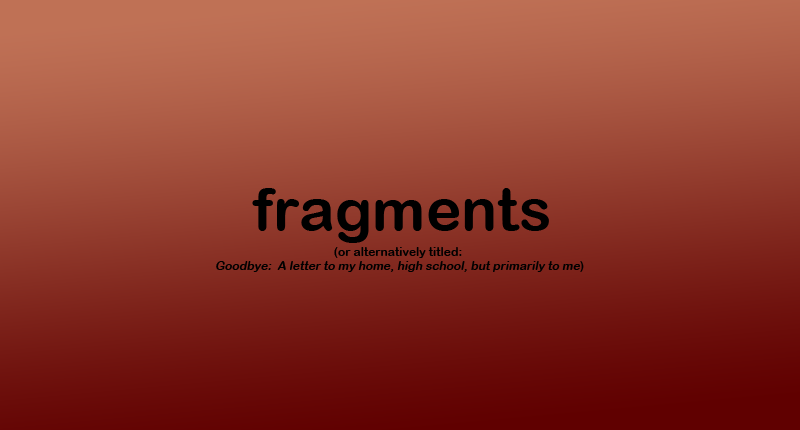 Image description: The title of this piece "fragments (or otherwise titled: Goodbye: A letter to my home, high school but primarily to me)" over a red gradient background. At the end of August, I will be living in Toronto, an hour and a half (if we count traffic - and there’s always traffic) away from home. And it still hasn’t set in. I don’t know if it will. I don’t know if I’ll ever see this city as my home or if it’ll just be pitstop. 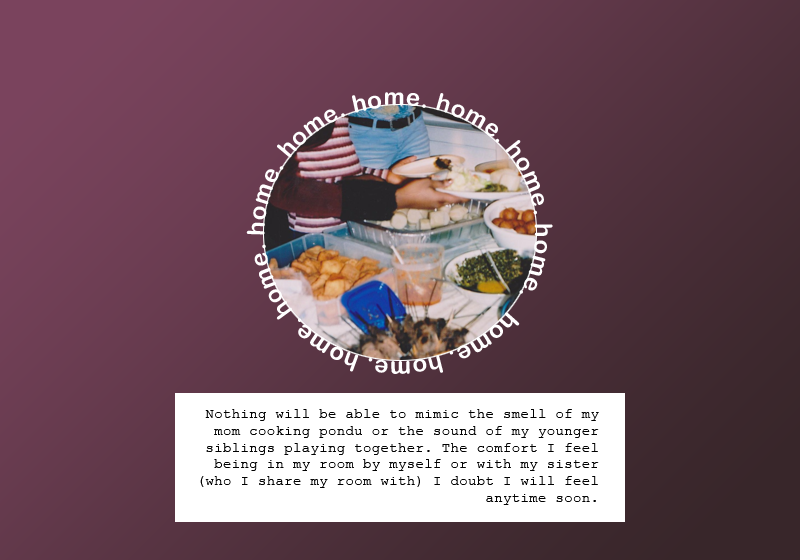 Although I’m extremely scared, I’m also very excited to see what life is like on my own and if I can learn to call a new place home. 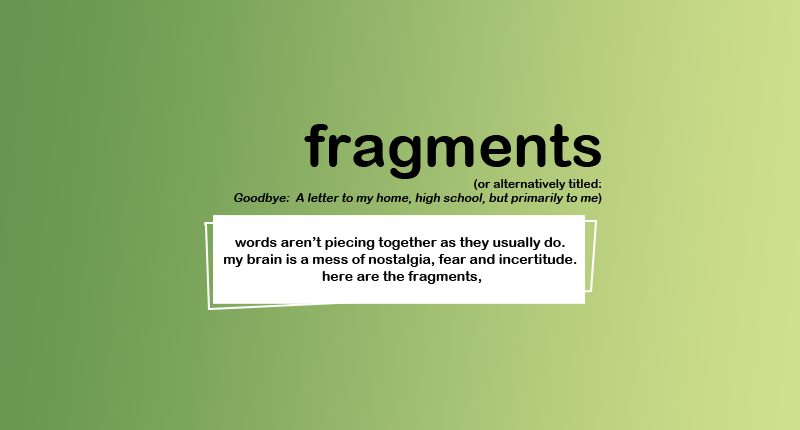 High school, you felt like my uniform white polo; tight at the collar, shrunken, so stuffy and stifling, but a constant. Although tons of terrible things happened there, good things did too. Many have impacted the person I am and the person I will be. 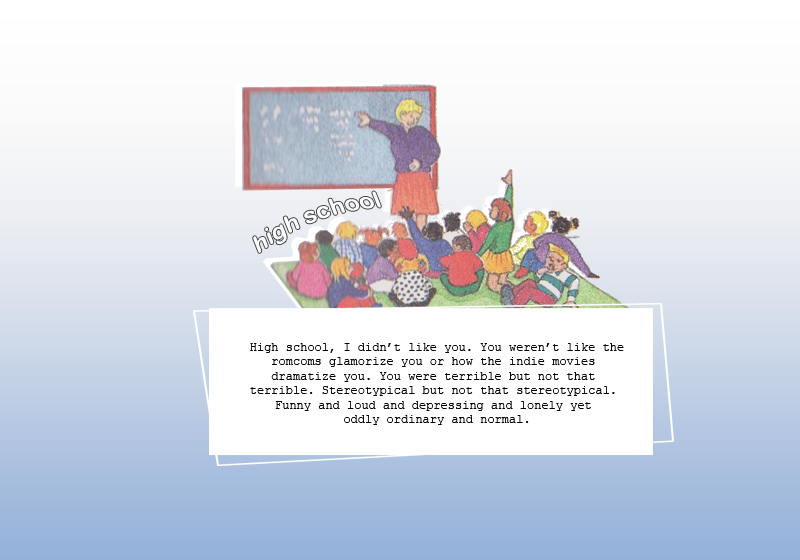 I wonder if I’ll always feel this way about high school. I’ve finally realized that I deserve better. That I’m allowed to take up space. 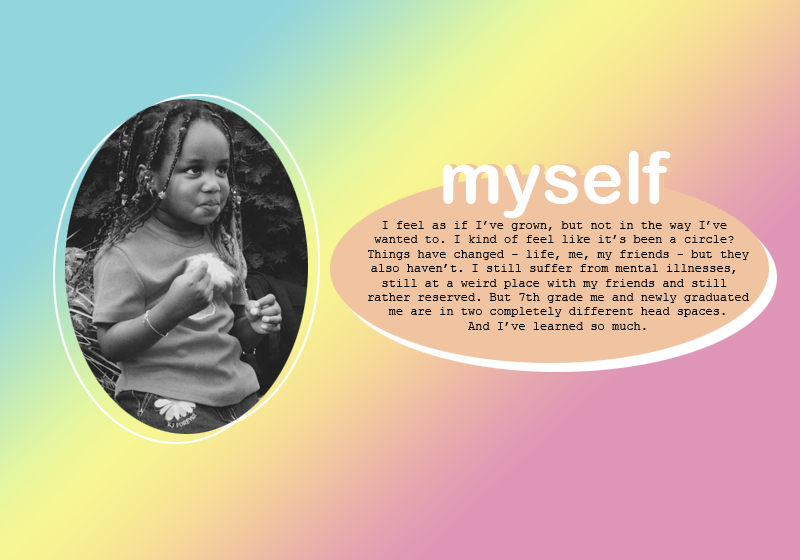 That I should feel free to live as myself unapologetically. That friendships are based on mutual trust and love. That my opinions are worth the listen. That my body and mind are worth taking care of. 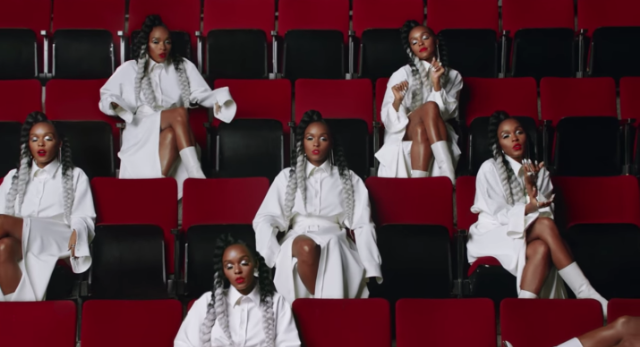 That self-love is hard but important. And although I’ve realized it, it’s been hard practicing these realizations, I’m glad I’ve learned them because it’s the only way I’ll figure out how to be the person I want to be.